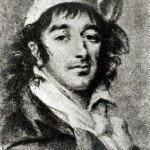 Jean-Paul Marat (1743-1793) has become one of the French Revolution’s most identifiable figures, as much for his untimely death as his political contributions he made in life. Marat, like Jean-Jacques Rousseau and Jacques Necker, was born in Switzerland, the son of an Italian father and a French Huguenot mother. He left home as a teenager and travelled to Paris, where he undertook studies in medicine and set up practice as a doctor. By the 1770s Marat had also taken an interest in the Enlightenment philosophes, so he began writing works of political theory. He also spent several years in Holland, Scotland and England, where he studied the British political system and wrote prolifically on both politics and medicine. Marat returned in Paris in 1776 and set up a flourishing medical practice. He soon found himself in demand as a physician, his clientele including members of Parisian high society and Charles Philippe, youngest brother of Louis XVI. Desperate to penetrate the intellectual elites, Marat also continued both his scientific research and his political writing. He conducted experiments on the nature of light and optics; his findings were examined and commended by Enlightenment figures like Benjamin Franklin. Despite this, Marat’s research was rejected by the Académie des Sciences, possibly because of his lack of education and patronage. Marat’s political writings were also ridiculed by Voltaire and his followers. By the late 1780s, Marat had become frustrated and resentful at this treatment. The onset of the French Revolution presented Marat with both opportunities and new ideas. The convocation of the Estates General prompted Marat to take up his pen for the Third Estate. Between late 1788 and mid-1789, he wrote several essays urging constitutional reform and political equality for all French citizens. At least one of these essays was tabled in the National Constituent Assembly during its constitutional deliberations. In September 1789, Marat began publishing his own newspaper, L’Ami du Peuple (‘The Friend of the People’). In its first edition, Marat attacked the Second Estate and demanded that all nobles be expelled from the Assembly. In the second he refocused his aim on bourgeois bankers and financiers, men who, according to Marat, “built their fortunes atop the ruination of others”. Marat’s newspaper, written single-handedly and published several times a week, was enormously popular with the working people of Paris. The appeal of L’Ami du Peuple was derived not from its political ideas but its focus and tone. Every edition claimed to expose some scandal or conspiracy; every copy launched a scathing new attack on perceived enemies of the people. Marat’s targets shifted as the revolution evolved and radicalised. At first, he attacked the king and his ministers, the nobility, the high clergy and the affluent bourgeoisie. By late 1789 L’Ami du Peuple was haranguing the National Constituent Assembly for protecting feudal and bourgeois business interests, for not implementing universal suffrage, for not going far enough. The Paris Commune, the National Guard and political moderates like Necker, Honore Mirabeau, Marquis Lafayette, Jean Bailly and Antoine Barnave were also frequent targets. As might be expected, Marat’s poison pen made him a target for liberals and moderates. Between the autumn of 1789 and late 1792, he was regularly subject to arrest warrants and government suppression. Marat spent October and November 1789 hiding in the sewers and catacombs of Paris, while the Commune and the gendarmerie sought his arrest. He returned briefly but fled again in late January 1790, taking refuge in England for four months. Marat’s return to Paris in May 1791 lasted until late July when L’Ami du Peuple was held accountable for Jacobin radicalism and the Champ de Mars Massacre, and its printing presses were destroyed by gendarmes. Marat spent yet another period of exile in England between December 1791 and March 1792. L’Ami du Peuple was a one-man operation so it ceased publication whenever Marat went into exile or hiding. By the summer of 1792, the revolution was becoming more radical and Marat and his ideas were gaining popularity. Now backed by the republican Cordeliers, Marat’s articles spat venom at the monarchy, the Girondins, foreign spies and other suspected counter-revolutionaries. L’Ami du Peuple helped fuel the insurrection of August 10th 1792 that culminated in the invasion of the Tuileries. Marat was also held responsible for the massacre of prisoners in Paris the following month, a charge he did not deny. In September 1792 Marat was elected to the National Convention. He spent the next six months bickering with Girondins within the Convention and attacking them in print outside. In April 1793 Marat was arrested and tried before Paris’ Revolutionary Tribunal, on charges he had called for widespread violence and the suspension of the National Convention. He was acquitted after delivering a passionate defence. Two months later the Girondins, were expelled from the Convention. Marat, once the enemy of the revolution, had become one of its most important leaders, both inside the Convention and on the streets of Paris. On July 13th 1793, Marat was murdered at his home on the Rue de Cordelier. Famously depicted in a painting by Jacques-Louis David, his death remains one of the revolution’s most dramatic scenes. 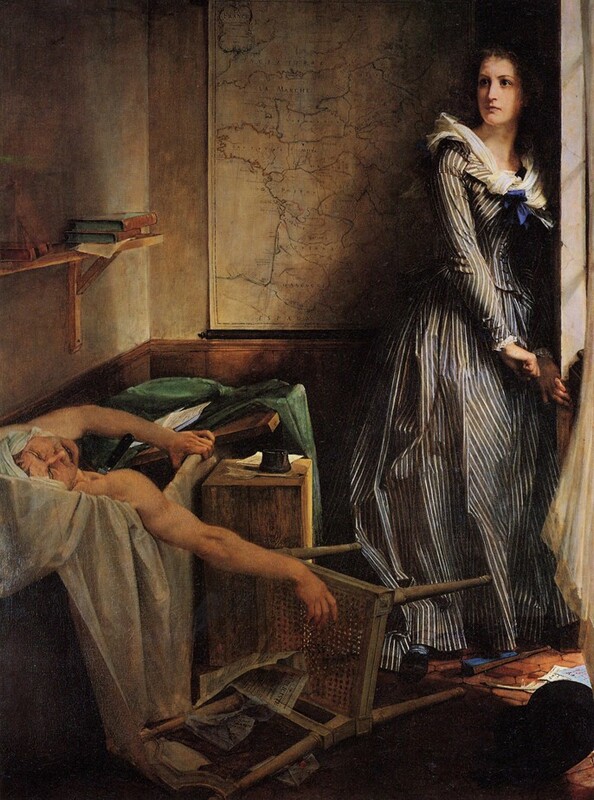 Marat’s assassin was Charlotte Corday, a 24-year-old unmarried woman from Normandy. Raised in a convent, Corday was well educated, politically astute and a keen student of revolutionary events. By 1792 she had become a follower of the Girondins, believing them the logical leaders of the new nation. 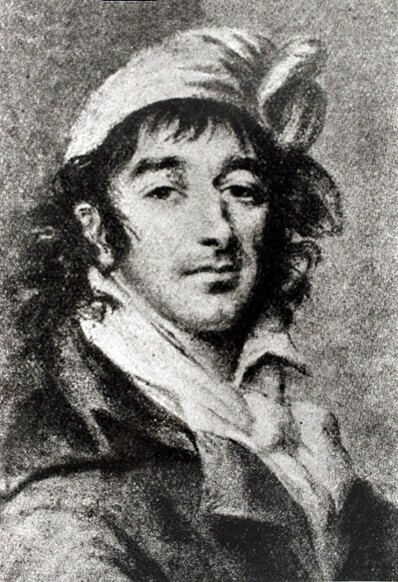 Corday detested radicals in the Montagnard faction, particularly Marat. In mid-1793 she travelled to Paris, intending to assassinate Marat in public at the Fête de la Fédération. After discovering that Marat was too unwell to attend, Corday visited his house on the morning of July 13th but was refused entry. Undeterred, she returned to her hotel and penned a letter to Marat, offering information about Girondinist plotting in her native Normandy. She also changed her clothing and attended a hairdresser, hoping to appear more alluring. Corday returned to Marat’s apartments at around 7pm on the evening of July 13th. This time she was allowed to enter and found the radical journalist soaking in a bath. Marat was desperately unwell and, according to some sources, already close to death. Riddled with eczema and weeping skin lesions, he bathed constantly; unable to hold down solid food, he drank copious amounts of coffee. After chatting with Marat and providing him with a list of names, Corday unveiled a five-inch kitchen knife, which she plunged into his chest. Marat’s wife and attendants rushed in and desperately hauled him from the bath, though death was almost instantaneous. In the days that followed Marat was hailed as a martyr and immortalised in word, art and symbolism. 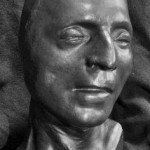 His funeral was attended by thousands, his heart was embalmed and kept at the Cordeliers club, his remains were entombed in the Panthéon. 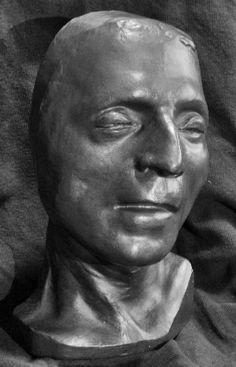 Corday was immediately sent to trial and guillotined on July 17th. Though she was almost certainly acting alone, Marat’s murder touched off another savage wave of violence against counter-revolutionaries, royalist agents and Girondinists. While the murder of Marat did not directly cause the Reign of Terror, it certainly contributed to the paranoia from which it sprang. 1. 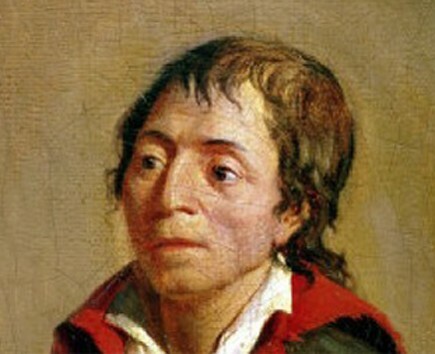 Jean-Paul Marat was a physician, political writer and journalist, whose newspaper L’Ami du Peuple became a popular source of radical ideas between 1789 and 1793. 2. Born in Switzerland, Marat trained and worked as a physician in Paris, while also conducting scientific experiments and writing political theory. 3. While he had periods of success as a physician, Marat found it difficult to break into the scientific and philosophical elite, which made him bitter and resentful. 4. The onset of revolution provided Marat with an opportunity to write radical political texts. In September 1789 he started L’Ami du Peuple, a newspaper that attacked the perceived enemies of the revolution. 5. 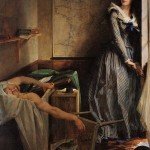 After contributing significantly to growing radicalism in Paris, Marat was murdered in his bath by Charlotte Corday, a Girondinist supporter. His death was a contributing factor to the Reign of Terror. 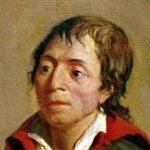 J. Llewellyn and S. Thompson, “Jean-Paul Marat”, Alpha History, accessed [today’s date], https://alphahistory.com/frenchrevolution/marat/.